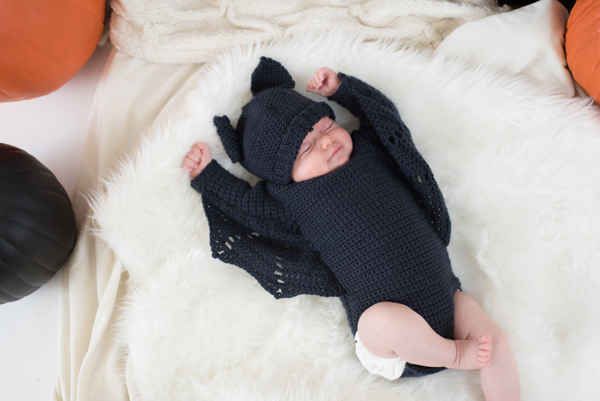 No need to search for the winner of this year’s costume party; this winged baby bat onesie will definitely swoop in for first prize. Your little one will look cute without feeling uncomfortable; plus, snap tape makes it easy to get in and out. Ch-3 Picot: Ch 3, sl st in 3rd ch from hook. I am also having trouble understanding the neckline. Has anyone been able to figure it out? I am also having trouble understanding the neckline. Have you been able to figure it out? Where can we find the pictures that the pattern speak of? I am also having problems tacking the armhole edges. I wish there were pictures. Do not understand neckline. Could I please get some help on this. Thank you! Also hoping you can share info on how to size this for a newborn, like in the picture. Or at least smaller than 12 months. Thanks!! Would someone help with this please…After neckline it says Sew snap tape to Shoulder seams, overlapping ribbing. Tack Armhole edges. I get the sew snap tape, but what does it mean to “tack armhole edges”? Thanks for any help! Once you have completed Row 14 and turned, Row 15 means you would repeat Row 14. So chain 6, single crochet in 2nd chain from hook and in each stitch after. Depending on which size you are making you should have 32 or 36 stitches. Can someone help me with row 15 on FRONT. For some reason i am not understanding this. Thank you in advance! I am making this for a one year old. Should I use the first number or the parentheses number? Too cute! 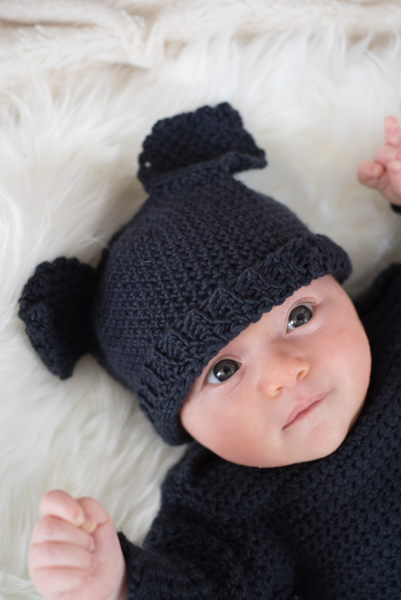 Is there a newborn version of this pattern? Thank you, Jordan for your comment. We’ve asked the designer to jump on and give some insights. Hopefully, she will be able to help clarify the ribbing section. The ribbing part of the pattern is confusing to me. is there anywhere we can go for help with this pattern? I am not understanding the ribbing and the neckline?? Adorable, but is there a pattern for the hat? 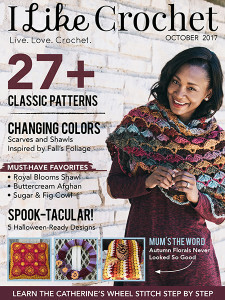 Is there a video tutorial available for the pattern? I am not understanding the part about the ribbing. This is so darn cute and my Great Grandson will be 8 months on Halloween. I really have to make this for him. Love it.